Martin Luther, in a letter to the composer Ludwig Senfl. Luther in his writings creates a theology of music that not only goes further than those of other church reformers, but also provides the Protestant musicians and music theorists alike for the subsequent centuries a foundation for a theocentric philosophy of music. In his eyes, music is a creation of God and listening to organized sounds means being in harmony with creation, of which each individual is a part. If the human ear perceives different musical harmonies, it involuntarily recognizes the reality of God’s work. The human desire to experience music is therefore not so much the need to realize oneself as a longing for and a reflection on the relationship with the Creator. 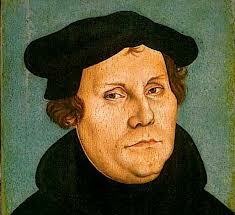 Thus Luther gave music a didactic role. Instead of being a human invention for entertainment, relaxation and self-realization, music is a gift from God, which can convey divine truth both to those who hear and to those who perform or study. Therefore, music was an integral part of the curriculum of the Lutheran Latin schools. But not just music “and all (other) mathematics”, but also the linguistic subjects were considered important. The new Lutheran weighting of the word in worship revived the widespread “rediscovery” of rhetoric. Rhetoric had a special task: the preacher should use the persuasive art of speech for the exhortation and edification of his church. Luther said that preaching can also take place through music, especially in connection with spiritual lyrics. A piece of music should therefore represent “a musical sermon” and give the words more emphasis and power. While a spoken text can be understood on an intellectual level, its importance can be emphasized more strongly by music and emotions are better conveyed. To communicate text and the associated emotions through music was the main concern of all the following Lutheran musicians and composers. Luther is also considered the inventor of the Psalm song and so the focus of the program is on two of his most famous psalm songs “Out of the depths I cry to you” and “Now Come, Savior of the Gentiles,” of which there are many adaptations by composers from different eras. 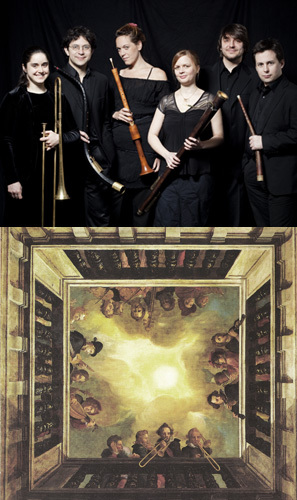 With the instruments of the town waits typical in Luther’s time of cornets, shawms, sackbuts and dulcians I Fedeli presents a program that demonstrates the development of the (wind) music in the Lutheran service. From the beginning at the time of Luther and Senfl, who were in close contact with each other, through Josquin des Prez, Heinrich Isaac, Samuel Scheidt and Heinrich Schütz, and ending with the most famous representatives of Lutheran church music: Johann Sebastian Bach. 2 cornettos, shawm/alto and tenor bombard, trombone, alto/tenor/bass dulcians (and organ).